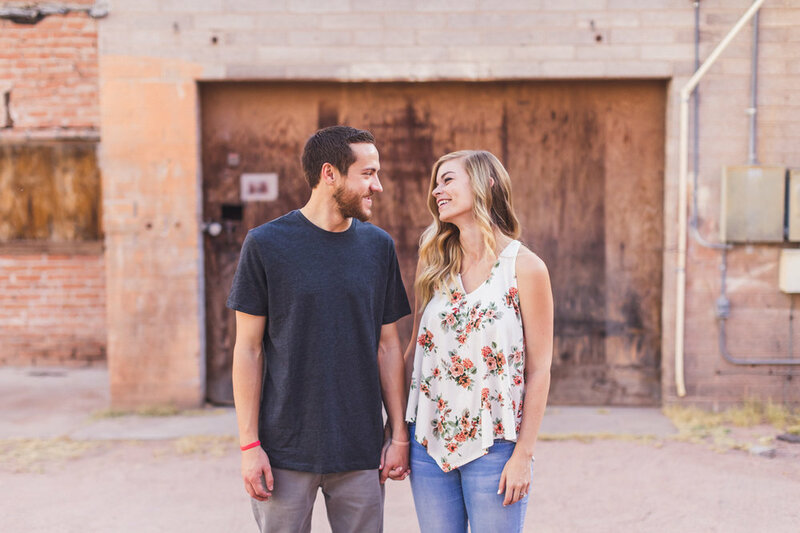 You may recognize these two from this amazing Phoenix wedding last year. 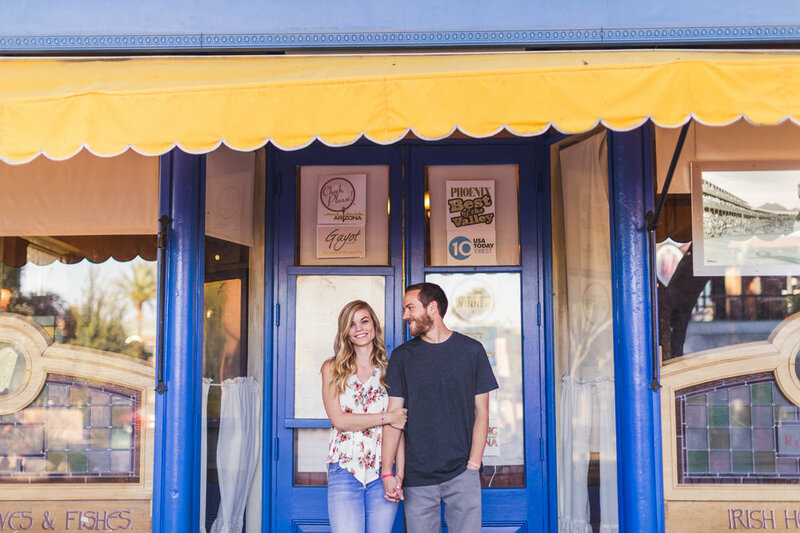 In the midst of a busier than usual summer and their wedding quickly following their engagement session, I somehow missed blogging this spectacular engagement session. I'm really not sure how, because it was legit one of the best sessions from last year. But, I really don't mind. These two rock and now I get to relive hanging with them all over again. 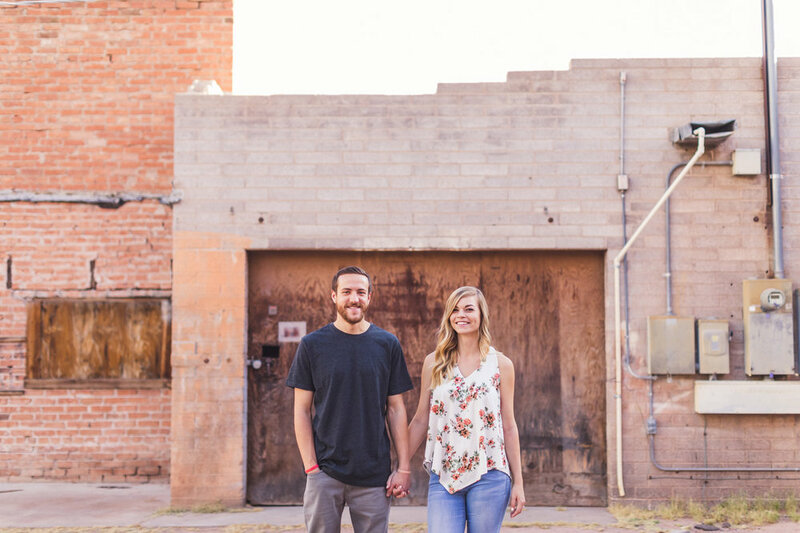 These two went to school together at ASU and live right by where we did this session. It was fun walking around and making them great art from right in their neighborhood. 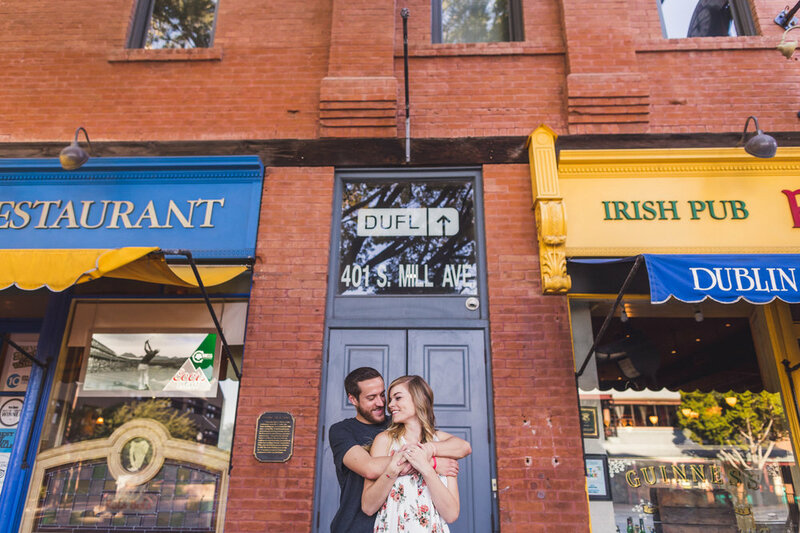 Here are some of my favorite images from their Mill Avenue engagement session.